A groundwater training day, for over 30 Francophone African water professionals and government staff, was hosted on 28th November, by Professor Moustapha Diene of the Africa Groundwater Network (AGWNet) and Mr Julian Harbrecht and Mr Ramon Brentführer of BGR (the German Federal Institute for Geoscience and Natural Resources) – with support from BGS (the British Geological Survey). 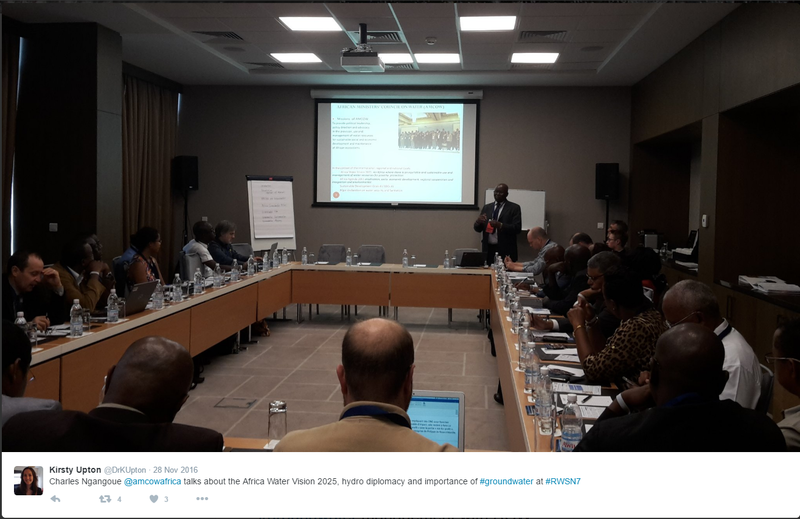 A wide range of African groundwater topics were presented and discussed, including the new Africa Groundwater Atlas and Literature Archive, which is part of the UPGro programme and a presentation by Mr Charles Ngangoue of the AMCOW Africa Groundwater Commission . 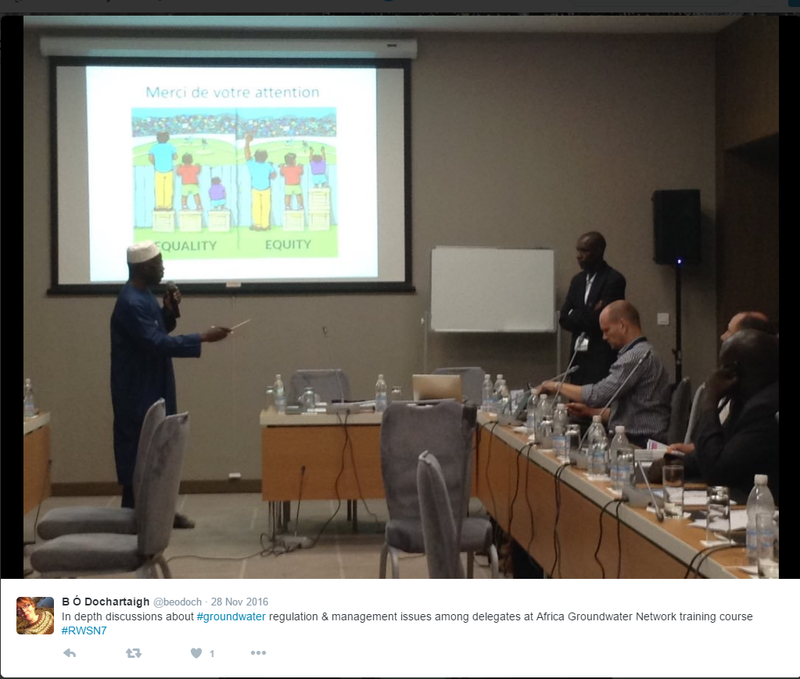 This AGWNet training was convened as part of the 7th Rural Water Supply Network (RWSN) Forum in Abidjan. 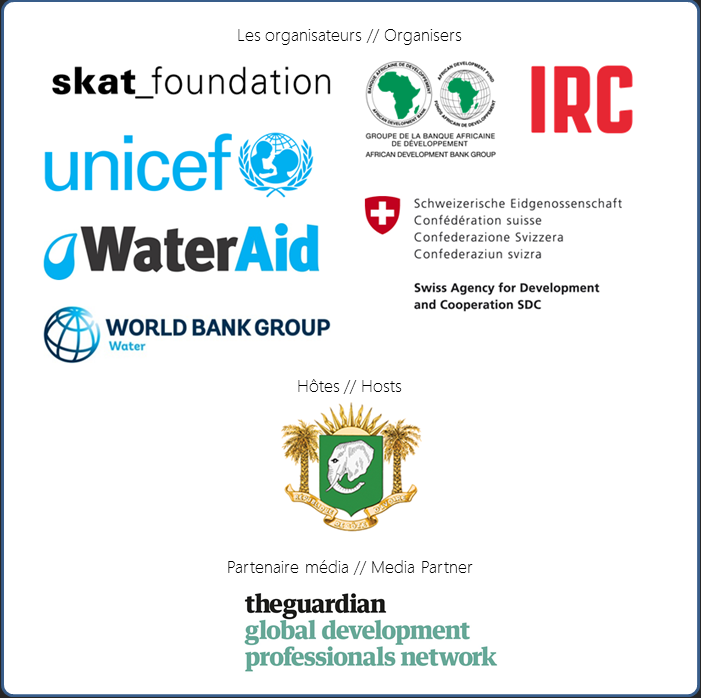 Thank you to the organisers of this workshop and everyone who took part – especially those who stepped in to help when a delayed flight from Dakar threatened proceedings!